that ensures a great deal of culture and fun. The city has 160 theaters, which present from super productions of Broadway musicals to avantgarde productions. 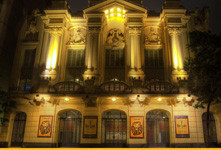 Teatro Renault, former Teatro Abril, is the stage for gigantic Broadway musicals that cannot be missed, and it already hosted Phantom of the Opera, Adams Family and Lion King. Watch out for the show on the billboard. Standup comedy is one of the types of comedy that has quite grown in the country and the city was one of the cradles and great diffuser of this type of humor. Do not forget to drop by the Comedians, a club dedicated to comedy in Rua Augusta. In this relaxed atmosphere, good laughs will be certain! 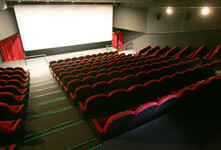 São Paulo has about 280 movie theaters, which receive from the greatest international box office hits up to films of the alternative circuit. Some spaces deserve a visit, not only for the programming, but also for the ambience. There are diverse movie houses spread throughout all the corners of the city for greatest box office films, both in shopping malls and in appropriate complexes. For those who want to get away from the Hollywood circuit, the regions of Avenida Paulista and Augusta concentrate the “header films”. Reserva Cultural is one of the main movie houses of the alternative circuit. The complex has four modern movie houses, a bistro, a coffee shop and even a small bookstore and a privileged view of the busy Avenida Paulista. Espaço Itaú de Cinema, along Rua Augusta, underwent a reform and is even more pleasant. The schedule of five movie houses alternates productions from all over the world. Flirtation unfolds and at loose at night on the street, before the start of the films. With 39 cultural centers, every day, there are always festivals, shows, courses, debates and workshops on all art forms. Aside from presenting versatile and quality attractions at popular prices, the spaces offer to the public its innovative architectures and lovely decorations. 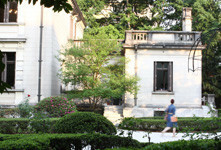 In the very region of Avenida Paulista there are excellent options, like Casa das Rosas – Haroldo de Campos Space for Poetry and Literature, one of the temples of poetry and arts in São Paulo, and Itaú Cultural that, aside from audiovisual exhibitions and festivals, makes available a collection of over 30,000 documents on Brazilian art and culture, composed of books, films and CDs, for borrowing or local inquiry. The Centro Cultural Banco do Brasil, at the historical downtown of the capital of São Paulo, has more than 4,000 m² with exhibition halls, movie house, theater, auditorium, store and coffee shop and it always has multidisciplinary activities at affordable prices. Do not forget to check out the events during your stay. Tens of galleries are distributed throughout the city, many of them in Jardins, with the most varied types of art. 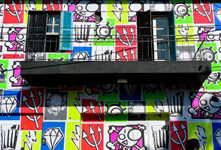 Just as there are diverse studios, many of them are in the bohemian district of Vila Madalena. The Galeria Choque Cultural is a reference when the matter is pop culture and urban art and it is always mentioned in international materials, such as The New York Times and in Newsweek magazine. It presents bold proposals from young and talented artists through their exhibitions in Vila Madalena. The Galeria Fortes Vilaça participates in the most important international art fairs. The space, located in Pinheiros, is simultaneously used for exhibitions, storage of artworks and exhibit room, all accessible to the public. 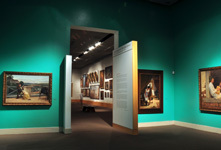 The city has about 125 museums, with a valuable art collection. It would be worthwhile to go on a trip only to get to know them, but if you have very little time, three of them cannot be left out. The Museu de Arte de São Paulo (Masp) (Art Museum of São Paulo) already expresses importance for its location, situated in the middle of Avenida Paulista, cultural and financial center of São Paulo and the city’s hype icon. Its building is an architectural reference, because its covering is suspended by red beams, under a 74-meter span. The museum has a collection of eight thousand pieces, with works of renowned artists, like Monet, Raphael, Renoir, Picasso and Van Gogh, aside from an amphitheater, a store and a restaurant. On Sundays, the place receives an antique fair with diverse articles with guarantee of authenticity. At the State Pinacotheque, located within the region of Luz, there are also good temporary exhibitions, with a collection of about one thousand works and pieces of Tarsila do Amaral, Portinari and Rodin. The area offers a delicious coffee, outside, providing open air punches with view toward the Luz Park. Whoever enjoys movie, photography, video, sound, television, graphic arts and new media will be having fun at the MIS (Museum of Image and Sound). Once a month the place produces Green Sunset, a party of electronic music that is reputed for bringing big named DJs at the outer area of the museum.